So by now I’m sure everyone and their mom has heard that General Mills brought back the much-beloved French Toast Crunch about two years ago, and I’m happy about it for the most part. (Though honestly, the cereal tends to be a little bit pricey, so sadly I haven’t been eating it as much as I’d like to.) In the last year, the big GM released two new cereals in a brand new subline known as Tiny Toast, in what I assume is mostly an effort to justify keeping manufacturing French Toast Crunch, since the machine that produces tiny little toast-shaped cereals now has more than one specific purpose. 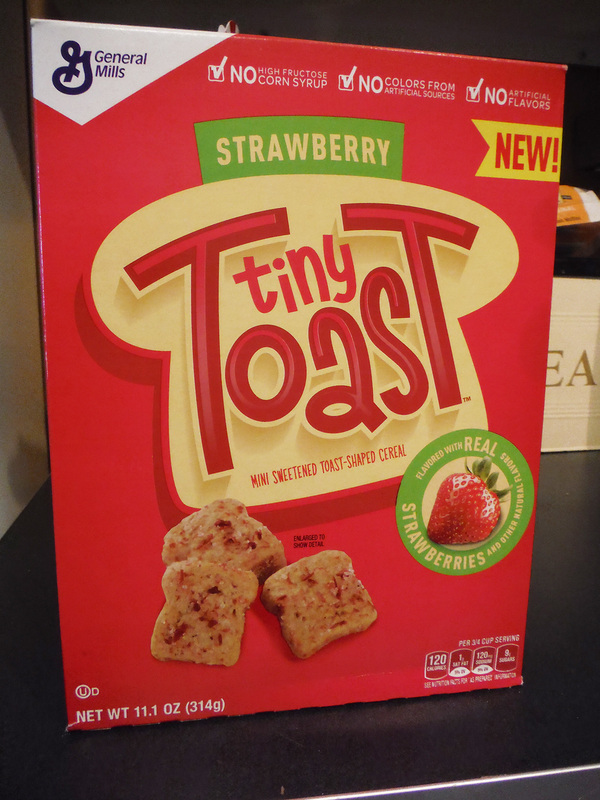 Similar to French Toast Crunch, these are tiny little toast cereal pieces with sugar and fruit specks. So far they’ve got both strawberry and blueberry, and we managed to pick up a box relatively cheap recently at a local liquidation store. Fall is on the way, everyone! 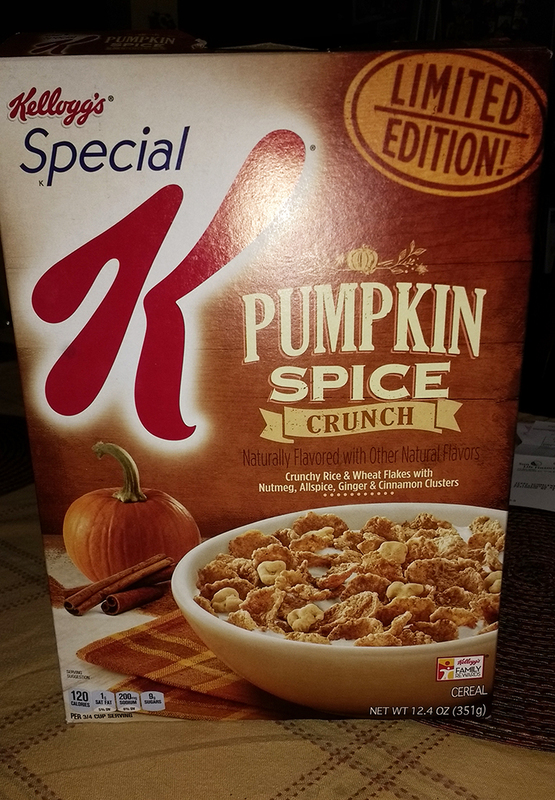 And with every Autumnal equinox comes a plethora of limited edition pumpkin spice variants of foods. We’ve seen cookies, coffee, drinks, etc… but someone new is taking a crack at the annual craze. 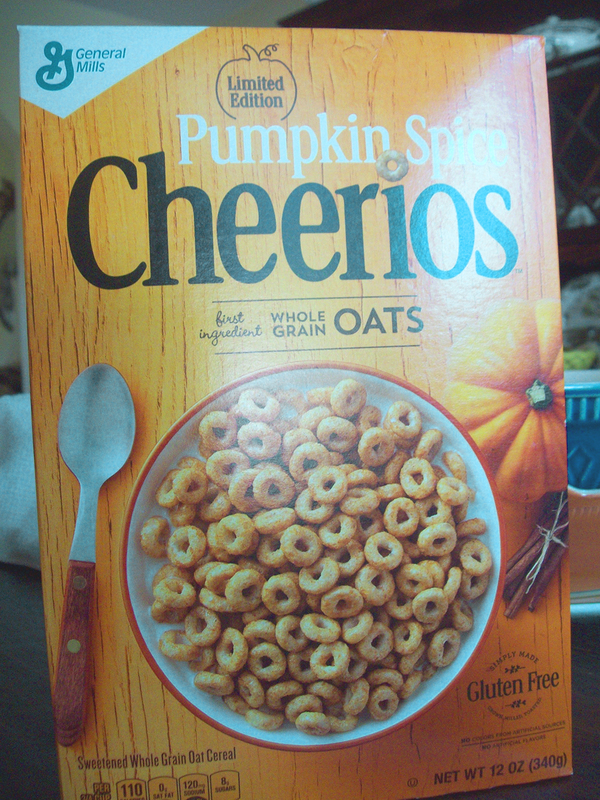 This year, we saw the arrival of Pumpkin Spice Cheerios, which if I recall correctly is the first time a cereal brand has harnessed the power of pumpkin pie spice. As always, I’m always a little skeptical of almost all pumpkin spice editions of foods and drinks because it’s such a quick and dirty cash-in, and frequently isn’t even that good. That said, let’s give Cheerios the benefit of the doubt. Afterall, they’re a venerable cereal that puts on a persona of wholesomeness and doesn’t typically use wacky gimmicks to rope people into buying it. The other day we took a look at Sugar Cookie Toast Crunch, a pretty awesome, worthy cereal. General Mills releases it around Christmastime each year in tandem with another festively-themed breakfast food, Holiday Sprinkles Cookie Crunch. Unlike its brethren unfortunately, this one isn’t quite as good. Obviously there’s been a stupid number of food companies taking advantage of the “limited edition” hype train the past couple of years, though I have to say that one niche was left out of the mix was Christmas editions. Especially cereals. Outside of Cap’n Crunch’s Christmas Crunch, there’s not really any Christmas-themed breakfast cereals I can think of. Lo and behold however, General Mills came to the rescue and added two special editions of two of their biggest IPs: Cinnamon Toast Crunch and Cookie Crisp. This review will focus on the former, which gave us Sugar Cookie Toast Crunch.